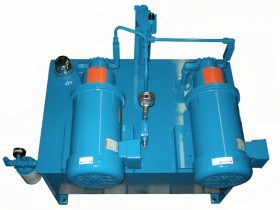 The SIMMONS HYDRAULIC PUMPING SYSTEM is designed specifically for the Simmons SK-5 Killers to be used for processing chickens or turkeys. Operates consistently at all line speeds. 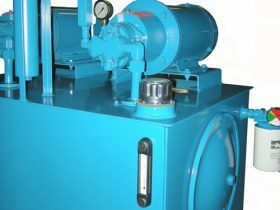 Three-way switch allows for easy change from Primary to Standby pumps. 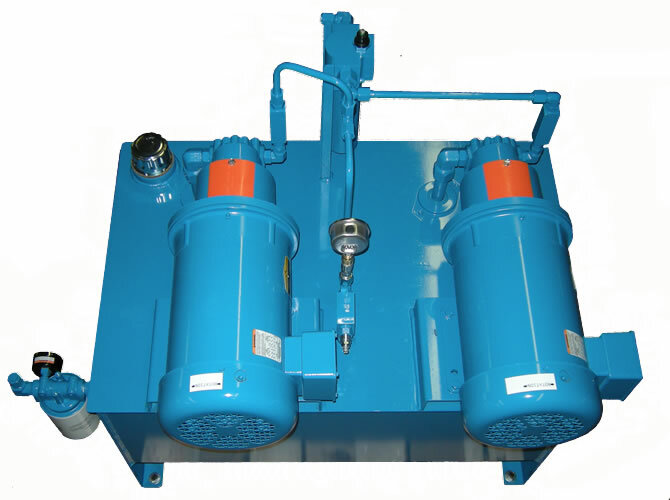 The totally enclosed steel tank with 40 gallons capacity has an easily accessible built-in pressure filter and a return filter and special filters are available for those processors who use glyvol based fluid. 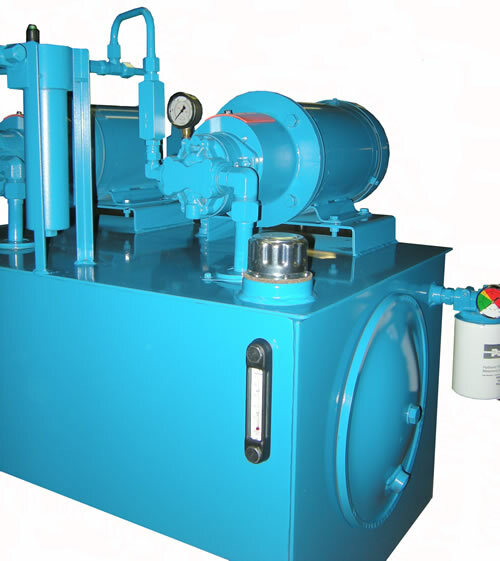 The Pumping System is furnished with primary and standby hydraulic pumps to supply 8.5 gpm fluid at 750-800 psi. The pumps are connected to 5hp/230-460v/3ph/50Hz motors as needed to meet local electrical specifications. 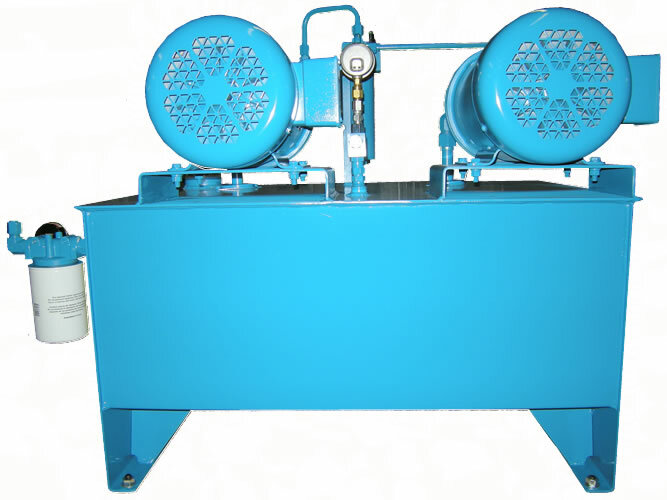 The higher volume pumps increase restraining roll speed as well as blade speed and torque, resulting in cleaner cuts by the Simmons Killing Machines.